Cricket has come a long way in the past few decades. It is now being played in different countries around the world. India, a country where cricket is treated as a religion and players as Gods, has made betting on online cricket tough. Before diving more into online cricket betting, it is important to understand the gambling situation in India. Cricket as well as other casino games like blackjack can be found at indian online casinos. You can bet on cricket or any other sport for that matter in Goa, Daman and Sikkim. There are many brick and mortar casinos in Goa and Sikkim where you are allowed to place bets on sports and play some popular casino games like Poker, Roulette and Blackjack. As you may have guessed, these casinos are extremely popular. So much so that casinos in Goa alone contributed Rs. 135 crores to the state revenue in 2013. Offline betting is the safest option, if you don’t want to go through illegal bookies (which are present in almost every major city). But let’s be honest, it isn’t possible for every India punter to fly to these states in order enjoy betting. According to the Information Technology Act 2000, any activity the government views as corruptible to its people is prohibited. This could come with fines of up to 100,000 Rupees and/or 5 years in prison. Even then online betting on sports is possible. We have not heard of any action taken by the government against online bettors (yet). Case in point, online sports betting in India is undefined. Indians can place bets using offshore sportsbooks and casinos. Bet365 and 888sports are to name a few. But there is a catch. In the mid 2000s, Bet365 use to accept credit cards from a few selected Indian banks. However, now no foreign betting site accepts any cards from India and other countries where betting is illegal. Indian laws don’t apply to Bet365 as they operate under the laws of United Kingdom where online betting is legal. There is not much the Indian government can do to stop people from betting on such sites. Up until last year (2015) it was possible to make a deposit using Neteller (an e-wallet). 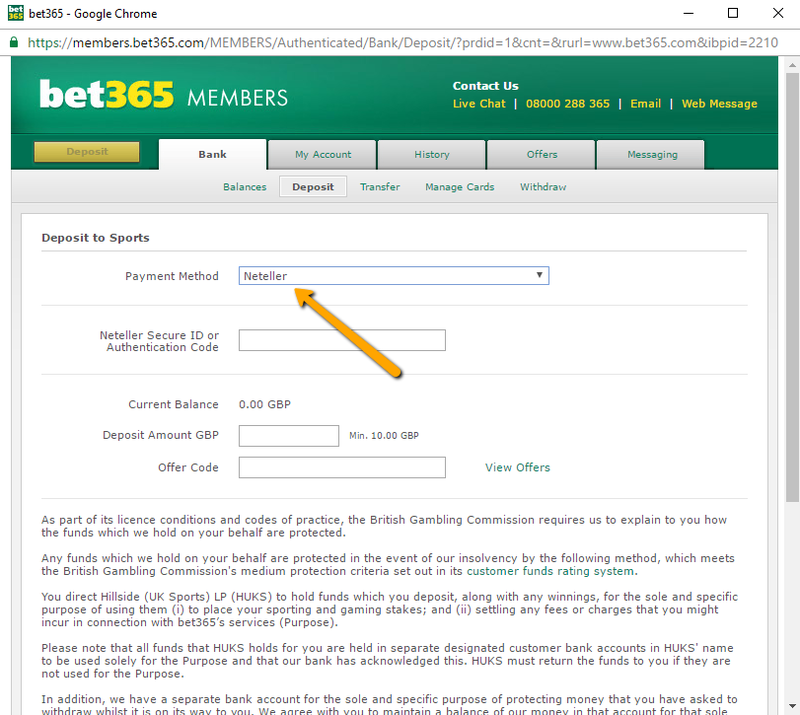 All you had to do was deposit a sum in your Neteller account and from Bet365 choose Neteller as deposit option. But recently a lot of punters have had issues with this process. Thanks to the new guidelines under Payment and Settlement Act, 2007. This law gives the RBI the ability to regulate all forms of electronic payments. The law states, “Payment system not to operate without authorisation : (1) No person, other than the Reserve Bank, shall commence or operate a payment system except under and in accordance with an authorisation issued by the Reserve Bank under the provisions of this Act”. In a nutshell, payment gateways can’t process payments to or from India unless RBI is informed of the remittance. RBI further needs to give approval for the transaction to occur. Understand that merchants and payment gateways work separately. In this case, Neteller is a merchant and Optimal Payments PLC is the payment gateway for Neteller that takes money from you and give it to Nettler. Merchants like Neteller don’t care which country your card is from, but payment gateways will not process the transaction for you. Thanks, RBI. Payment gateways have to comply with the rules and regulations of global banking system (RBI et al.) and payment network system(VBV, 3D secure, etc). Even if Neteller saves your card details, there is good chance payment gateway will stop the transaction when you try to make the payment to a merchant site. On top of all this, there is the Foreign Exchange Management Act (FEMA) 1999, that lets RBI regulate the foreign exchange market in India. This can also be a hindrance when you try to deposit or withdraw funds from Neteller. If you’re willing to take risks, go ahead with the straight forward process. 888sport claims to accept Indian credit and debit cards. Give it a shot and see if it goes through. 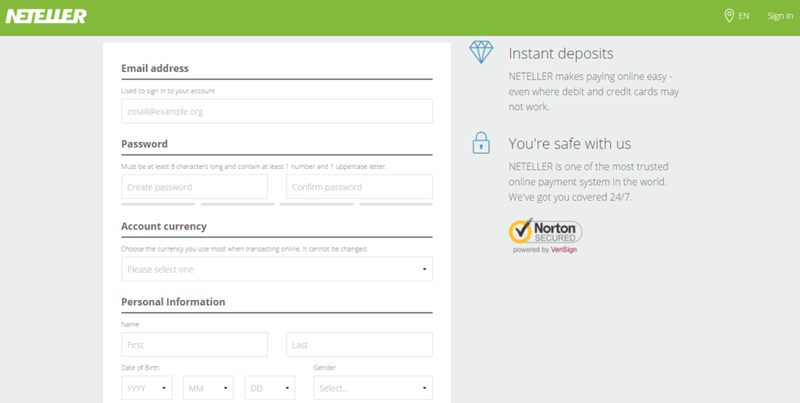 Heck, try deposits and withdrawals with Neteller while you’re at it. Make sure you choose a reputed bookmaker. There are plenty of websites out there that offer bets on cricket, but not all will give you back your money if you win. You may find this route slightly complicated, but once you get the hang of it you will start betting in no time. Bitcoins aren’t printed, like dollars or euros – they’re produced by people, and increasingly businesses, running computers all around the world, using software that solves mathematical problems. There are 4-5 Indian exchanges from where you can buy and Bitcoins legally. Coinsecure, Unocoin and Zebpay are the largest ones. Pro Tip: Check bitcoin prices on all exchanges before buying Bitcoin. At times there could be a difference of up to Rs. 3000 – 4000. Start by creating an account on Unocoin. They will ask you to link your bank account and PAN card (basic KYC). Once your account is verified, login and buy some Bitcoin. Say, for instance, you need to buy Bitcoin worth Rs. 20,000. 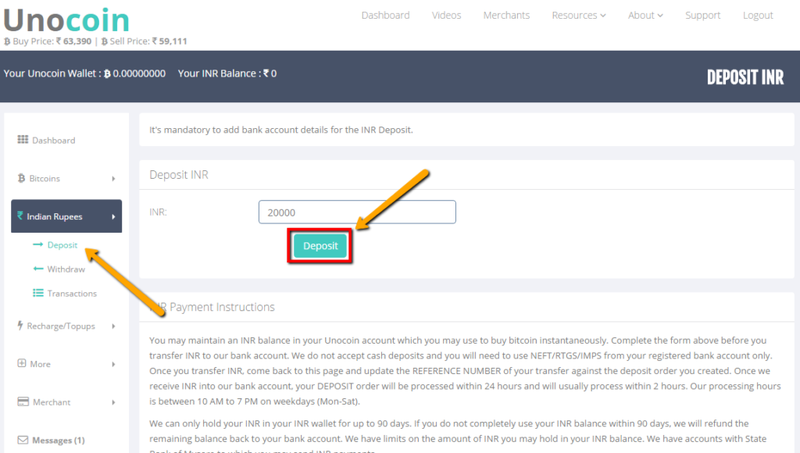 First, you will have to deposit 20,000 in your Unocoin INR account. 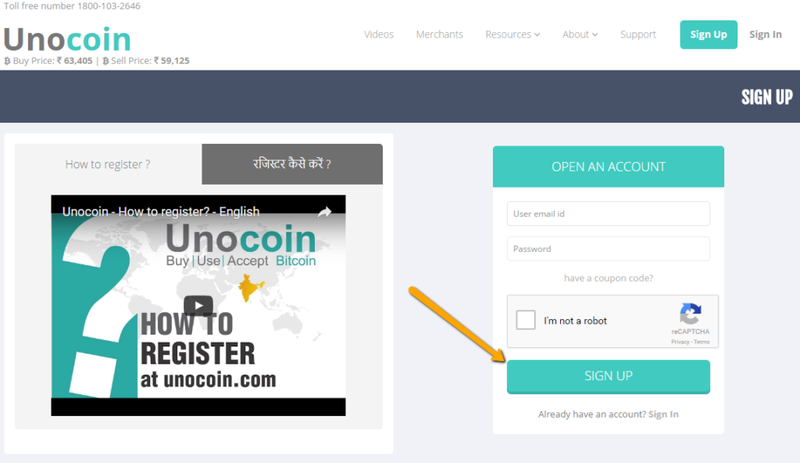 After Unocoin receives the payment, you will get 20000 in your INR wallet. 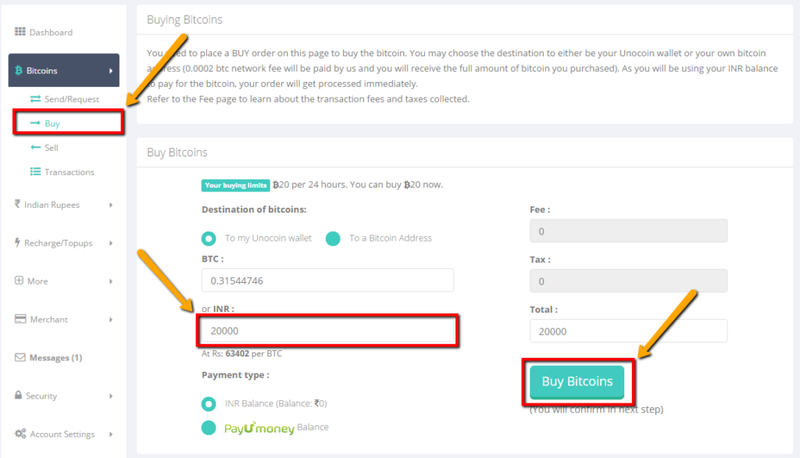 Now you can directly buy Bitcoin worth 20000 or as much as you like. If you want to bet on the likes of Bet365 and Betfair, there is one more step involved – create a neteller account and get INR with Bitcoin. Once the account is created, login and deposit using Bitcoin. You will get 15 minutes to transfer 0.104490 btc from your Unocoin account to your Neteller account. 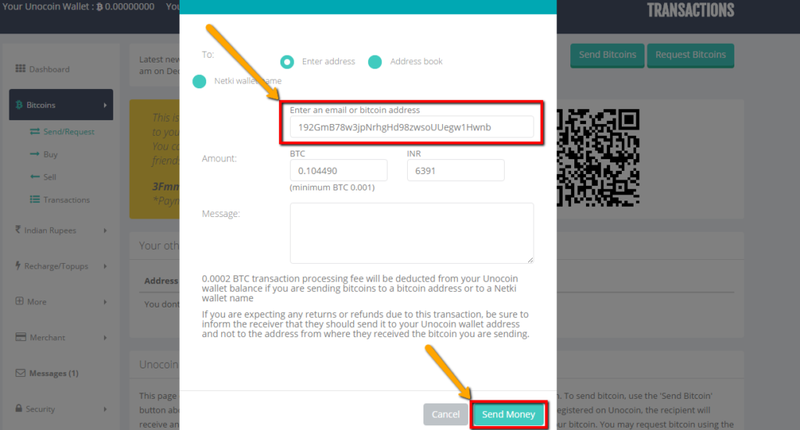 Go to your Unocoin account and make the transfer on the given address. Now you have money in your Neteller account. Just go to Bet365 and deposit using Neteller. When you’ve made thousands of dollars in winnings, you can’t just follow the same process in reverse and get money in Unocoin account. Neteller does not allow withdrawals using Bitcoin. 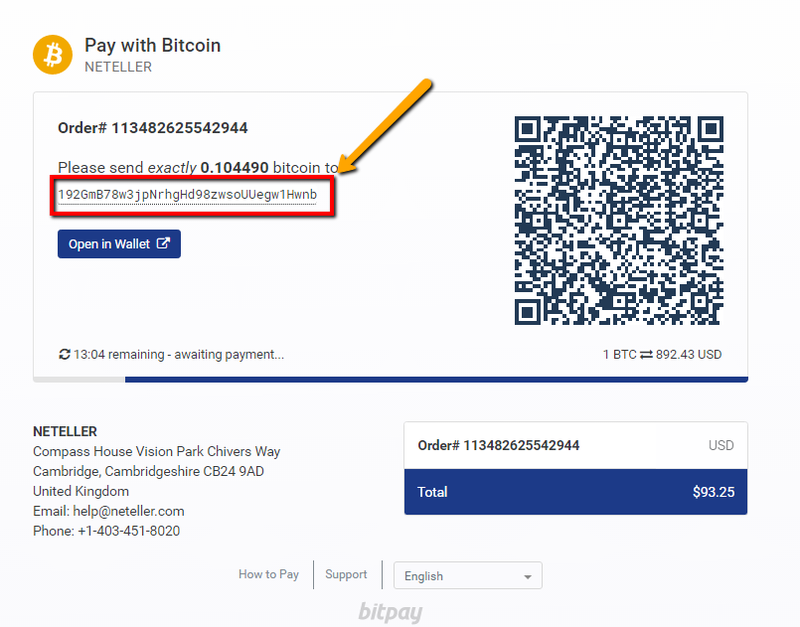 Use Local Bitcoins to convert your USD/INR into BTC from your Neteller account. LocalBitcoins is an escrow service that helps you connect with users online who accept Neteller for Bitcoin. Use this service with caution. Check each seller’s profile to verify history of successful trades. Online betting stays hard in India. The good news is that it isn’t completely banned. Lots of Indians bet online, but they also understand the risks that come with it. In January 2016, The Board for Control of Cricket claimed that they are considering the retired Chief Justice’s recommendations to legalize cricket betting. Let’s keep our fingers crossed and hope the change will come soon. Gambling is no new concept to Indians. It has been there for the longest time. The mythological literature such as The Ramayana (which dates back to 2000 BC) has mentioned gambling as a common practice among the royal and general communities. Some of the biggest decisions were determined by a roll of the dice. Dices were made from a nut of the Vibhitaka tree because of its five sided characteristic. Generally, ancient Indians considered gambling as a nice way to free their minds and have a hearty conversation alongside. They also looked at gambling as a solution to resolve conflicts and bridge the gap between friends and foe. The 15th century brought some much needed structure to gambling in India, making it one of the most frequently played games. Gambling houses started getting legalised with the King taking a percentage off the profits made in these houses. It was in the late 18th century, when Europeans brought the game of cricket to India, sports betting became a thing among Indians. They’d bet thousands of rupees on the team they thought would win. Most of the casino games we know today were invented during 18th century. As cricket became more and more popular in India, so did the betting around it. Unfortunately, when British took over in 1867, they outlawed all the gambling houses (with a few exceptions) including horse racing, lotteries and rummy. Just with anything that is illegalised by the authorities, it starts somewhere at a smaller scale. Gambling was no exception. People started playing in residential streets and small towns avoiding the police at all times. Law enforcement failed to prohibit people from indulging in gambling. Clearly, the passion and love for gambling was still there. India got independence from the British in 1947. However, the restrictions against gambling were not uplifted. The government wrote-off gambling as an addiction, an evil and something that would ruin families. The Public Gambling Act, is still in effect which was introduced by the British back in 1867. For some reason, as of now, most people in India as a social evil. It is also highly restricted by the Indian government. However, the state governments can regulate gambling in their state if they really want to. India is divided into 29 states and 7 union territories. So far we have only seen three states take advantage of this ruling; Goa, Sikkim and Daman. Even though gambling is frowned upon in India and laws are against it, betting remains extremely popular throughout the country. Legal or not, people love to gamble. A few years ago, Delhi court said that betting on cricket and other sports in India should be legalised. Legalising betting, the court said, would help the government keep track of the transfer of funds and even use the revenue generated for public welfare. “It does not need divine eyes to see that ‘satta’ in cricket and other games is reaching an alarming situation. The extent of money that it generated is diverted to clandestine and sinister objectives like drug trafficking and terrorist activities,” said judge Dharmesh Sharma of a Delhi trial court. The judge also cited a media report that claimed more than Rs. 20,000 crores (approximately US$4.27 billion) were pumped in by illegal betting syndicates during the IPL matches. It is clear that people of India and courts want a more transparent betting system in place, but at this pace it’d take a long time to change the existing law. That being said, not too long ago, a few games were made legal in India. These are the games that require certain skillset and not just luck to win. Based on this law, a new ruling was passed in 1957 that legalised betting on Horse Racing. It was determined that it requires knowledge and judgement to choose which horse would win the race. In 1968, government had to legalise Rummy as well because people argued that it is also a skill-based game. Betting on cricket remains illegal in India, but there are still ways you can get around it. Is bet365 legal in india? Bet365 accepts residents in India but depositing can be tough because of local laws. Online cricket betting in indian rupees? Yes, you can use indian rupees at many of the top cricket betting sites including Bet365, betfair and 888sports in 2017.